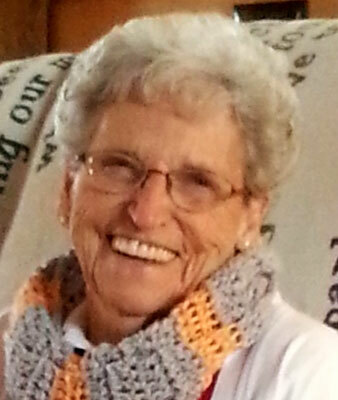 JOY AURIN ST. PETERSBURG, FLA. - Funeral services will be at 11 a.m., Saturday, July 30, at the Lane Family Funeral Homes, Canfield Chapel, 65 N. Broad St., for Joy Aurin, 85, formerly of Canfield, who passed away on Sunday, July 24, 2016, at Suncoast Hospice Care Center South Pinellas. She was born on June 25, 1931, in Pennsylvania, a daughter of the late Bruce G. and Isabelle S. (Wolfe) Toy. Joy moved to Ohio in 1969, where she spent 40 years with her family before moving south to be with her daughter in St. Petersburg. After moving to Florida, she formed many new loving relationships, including becoming an avid Tampa Bay Rays fan. Joy was an excellent baker and loved to cook. She especially enjoyed spending time with her family. She loved puzzles, morning sunrises and hummingbirds. Joy had an incredible contagious smile that lit up the room. Her husband, Walter W. Aurin Jr. whom she married July 9, 1949, died April 5, 2008. Joy is survived by her sons, David (Kate Haplea) Aurin and Larry (Michelle) Aurin; daughter Cynthia (Suzanne Holland) Aurin; daughter-in-law, Linda Aurin; grandchildren Michael Morgan (Carrie) Aurin, Courtney Lynn (Scott) Norris, Elizabeth Ann (Jason) Stouffer, and Nicholas Edward (Megan) Aurin; great-grandchildren Taelor Annette Norris, Jared Ryan Norris, Bailey Rose Sisson, Charlie David Aurin, and Nora Angeline Aurin; and her beloved cat, Mia. Besides her parents and her husband, Joy was preceded in death by her siblings, Delwin Toy, Viola Castle, Malcolm Toy, and Phillip Toy. Friends may call on Friday at Lane Family Funeral Homes, Canfield Chapel from 5 to 7 p.m. and for one hour prior to the service on Saturday. Joy will be laid to rest at Green Haven Memorial Gardens. The family requests material tributes take the form of contributions to your local hospice. Friends and family may visit www.lanefuneralhomes.com to view this obituary and give their condolences. Please share your memories of Joy.